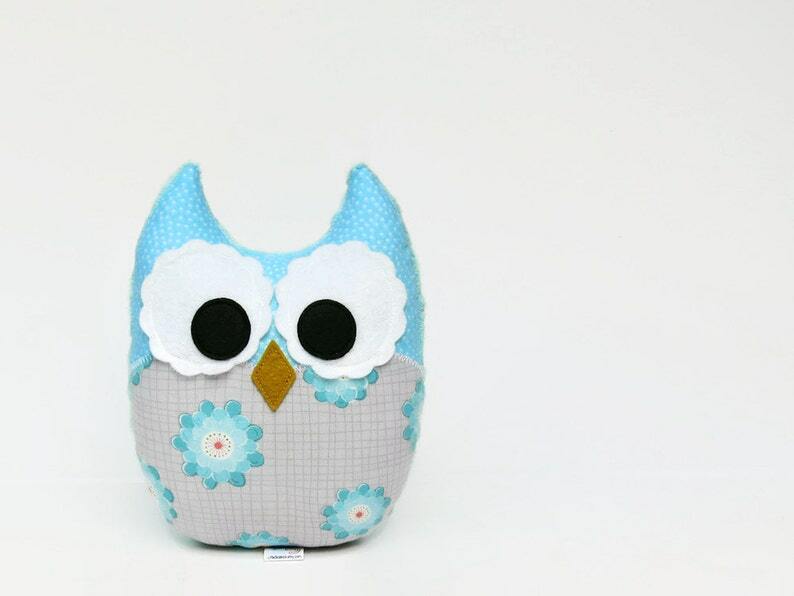 A sweet little aquamarine blue and gray owl. The flowers have a speck of coral at their center. Super soft minky dot (polyester), in a light aqua color, is used on the reverse side. I'm happy to substitute a different minky color; just leave me a note in the space provided at checkout. Due to the handmade nature of this item, your owl may differ from the one pictured in terms of pattern placement, though all of the same fabrics will be used. I try to only charge for actual shipping costs. If you are ordering multiple items, you may be overcharged for shipping in which case I will issue you a refund via PayPal.